Our charter base is Marina Dalmacija Bibinje-Sukosan. 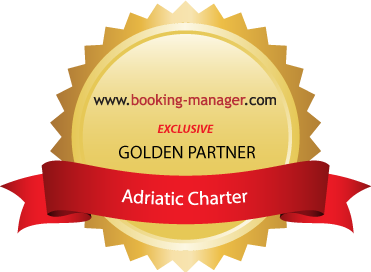 It is situated 7 km south from the historical town of Zadar. Marina Dalmacija disposes with 1.400 sea moorings and the required number of electricity and water connections and a remarkable number of dry docks on land that makes it the biggest nautical center. Among the other services at your disposal there is also a shop, cafe restaurant, fuel station and a great number of sanitary facilities. Due to its position in the very center of the Adriatic, Marina Dalmacija is the ideal starting point for your cruise. It is possible to visit many islands and small bays during one day because of their short distance. Exceptionally beautiful Kornati islands (national park) with more than a hundred islands, still untouched nature, will be the right place for your relaxation. We can recommend to visit the other attractive destinations like Krka waterfalls, ancient towns of Zadar, Sibenik, Split and Dubrovnik, just as ports which are full of souvenir shops, small shops and restaurants. Enjoy in picturesque and charming islands and discover the beauty of Croatian coast.